Providing high quality Christian Camps in California to church youth groups, teens, schools, families, and individuals since 1989. Over 1,536 youth leaders, teachers, and teens have rated us 4.9 out of 5 stars. Rock-N-Water is the place for youth to grow in their relationship with our Lord and Savior Jesus Christ. We focus our ministry on Biblical principles, and use the help of nature, friendship, and adventurous challenge to develop character. Our summer staff use outdoor adventure programs to impact youth with the joy of God’s Living Word. It’s our primary goal that youth and adults might come to know Jesus and pass on God’s love with excitement. Our group trips are fully customizable. You can modify your overnight summer camp with different adventures and custom campfire devotions. You can also adjust your camping and meals for even more quality time gathered around the campfire worshiping the Lord of all creation. Each of our youth camps and family camps include a wide array of all day outdoor adventures. We use these adventures to help each individual to grow in both character and spiritual intimacy with God. Choose the team building adventure that is best for you and your group. Our goal is for you to be immersed in the beauty of God’s creation, and have the experience and growth that you have always longed for. 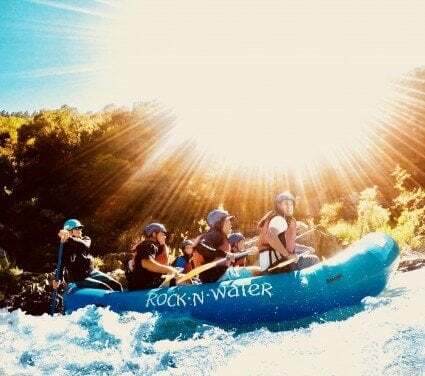 Travel with Rock-N-Water to the Sierra Nevada mountains of Northern California for an isolated time together with your youth, our staff, and God. 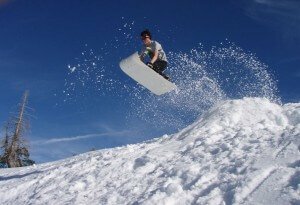 Snowshoe with us to a remote winter cabin overlooking two private snow covered lakes. We’ll take care of your group and all the logistics so that you can focus on what really matters: developing relationships and mentoring individuals into a healthy and self sustaining relationship with our loving savior Jesus Christ. Rock-N-Water offers a variety of living history school field trips that will take your class on unforgettable adventure where history comes alive! 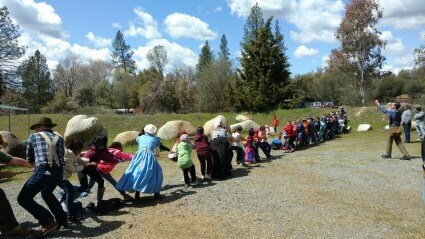 Our 4th Grade 49er Fun Program has both a two night and one night option available to you and your students. Each school program contains a heavy heaping of experiential hands on learning and discovery. 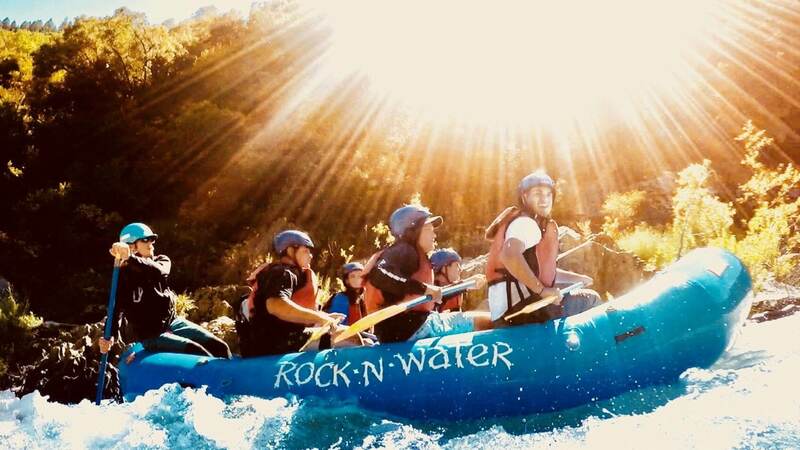 Rock-N-Water is located an hour West of South Lake Tahoe in the Sierra Nevada Foothills of California. We are a group of Christians who want to impact campers and friends of all ages with the joy of God’s Living Word. Our desire is that they might come to know our Savior Jesus Christ and pass on God’s love to others with joy. We find it best to focus our programs on biblical principles, and use the help of nature, friendship, and outdoor adventure challenges to develop character in each and every person who visits us at camp. Our staff are committed Christians with excellent outdoor leadership training. They are committed to positively changing the lives of kids and teenagers around them. It is our mission that all the California Christian camps we offer are 100% focused on providing every camper with a solid Bible camp program experience. Each of our camps are filled with high adventure and fun outdoor activities specifically designed to help everyone mature and grow in their Christian faith.